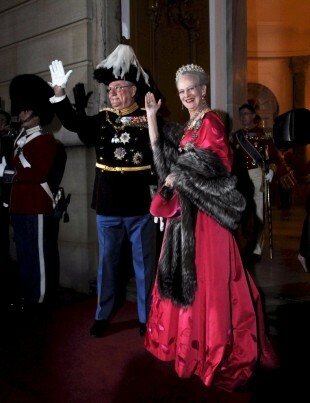 According to the Royal Danish House, Her Majesty Queen Margrethe II of Denmark and The Prince Consort will celebrate Christmas this year at Marselisborg Palace together with Their Royal Highnesses Prince Joachim and Princess Marie, Prince Henrik and Princess Athena. The Crown Prince Couple, Prince Christian, Princess Isabella, Princess Josephine and Prince Vincent will celebrate Christmas with Her Royal Highness The Crown Princess’s family in Australia. The New Year’s address is held every year on December 31 at 18.00, when it is broadcast live via TV and radio. The New Year’s address is traditionally delivered from The Queen’s reception room in Christian IX’s Palace at Amalienborg. Just as in 2014, The Queen this year gives the New Year’s address from Fredensborg Palace, where The Queen and The Prince Consort are residing as a result of the renovation of the roof at Christian IX’s Palace, Amalienborg. The New Year’s address has previously been delivered at Fredensborg Palace in 1979, 1980 and 2014, when Christian IX’s Palace was also under renovation. When HM The Queen gives the New Year’s address from the Garden Room at Fredensborg Palace on December 31, 2015, the Life Guard’s tradition-rich honor ceremony takes place in the Inner Palace Yard at Fredensborg Palace. The Life Guard’s honor ceremony commences immediately before the New Year’s address, when the Guardsmen on watch, with rifles to their sides, stand at attention with colors and two tambours while the address is delivered. After Her Majesty The Queen’s New Year’s address, “King Christian stood by the lofty mast” is played. The Life Guard presents arms, which are saluted, and the colors are retired. At Fredensborg Palace, the Outer Palace Yard will be open to the public, and large screens will be set up by the TV stations to show the broadcast of the New Year’s address. This year, there will not be special arrangements on Amalienborg Palace Square on the occasion of the New Year’s address.